A lot of times people want to ask me about crowd funding. What is it? Is it legal? As more and more people use crowdfunding sites and other alternative funding sources for their businesses, it is important to talk about exactly what crowdfunding is and how the laws surrounding it are changing (and not changing). Hi, I’m Sabrina Parsons and this is your Tip of the Week. A lot of times people want to ask me about crowd funding. What is it? Is it legal? You’ve probably read a lot of things about crowd funding and the JOBS Act, and it can be really confusing. I think my biggest tip is to do some reading. Just type in “JOBS Act” and “crowd funding” and you’ll get a lot of informative articles. We have one on Up and Running that you can take a look at. At the end of the day, very little about crowd funding is actually completely legal today. What crowd funding was intended to mean was the idea that you could put some information about your business somewhere, for instance, a website, and then you could solicit investors and they would get equity or shares in your company for their investment. Right now that’s not legal. You can only do that with accredited investors. You can’t actually go out and get money from anyone. It’s got to be someone who has been deemed by the federal government to be an accredited investor. Again, you can research what that means. Mainly, this is a wealthy individual and they’ve got to prove it through their tax returns, that they’re a wealthy individual. So people have a lot of confusion about, “Well, what about Kickstarter? Isn’t that crowd funding?” There’s a big, big difference. In Kickstarter, you’re not selling equity to your company. What you’re taking, for the most part, is pre-orders or simply donations or support for your business. You’re not actually giving equity away. It’s a great way to think about potentially raising some funding if you have a product in particular that you can put out there and you can excite people, and you really, truly will deliver the product. But it’s not crowd funding in the sense of crowd funding being a way for any person, random people, anyone in the world, in the United States, to invest and get a share of your company. It may be that crowd funding becomes legal in the future. Right now you can publicly announce and publicly go out and advertise that you’re raising money, and that’s a big change from the past. But if you publicly go out and announce that you’re raising money, you need to make sure that you’re accrediting your investors in a very thorough way in order to comply with where we are today with the Jobs Act. So read up on the JOBS Act. Understand the difference between Kickstarter and sites like Kickstarter—Indiegogo is another one—and understand what’s allowed and what’s not allowed. When you start to think about fundraising, touch base with a lawyer or somebody who’s got experience in really going out there and helping to raise money, and can help you understand the pitfalls, the agreements, the contracts, everything that you need to have in place if you’re actually going to go out and raise investment money. So that’s my tip for the week. Crowdfunding? Yes, Maybe, No. Not Yet. 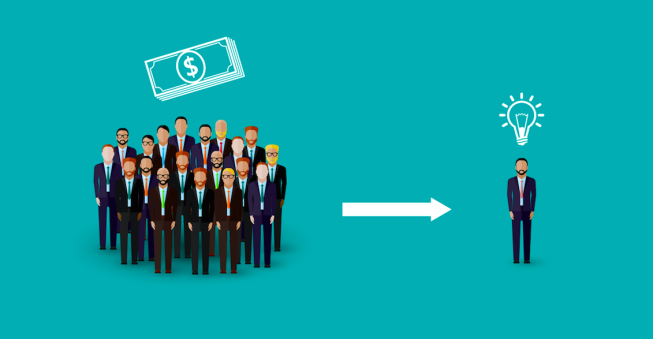 506(c) Offerings and Crowdfunding: What’s the Difference?